My schedule was thrown out of whack a bit today. For those that don’t know, Ben is an avid shoe collector – mostly Jordans. 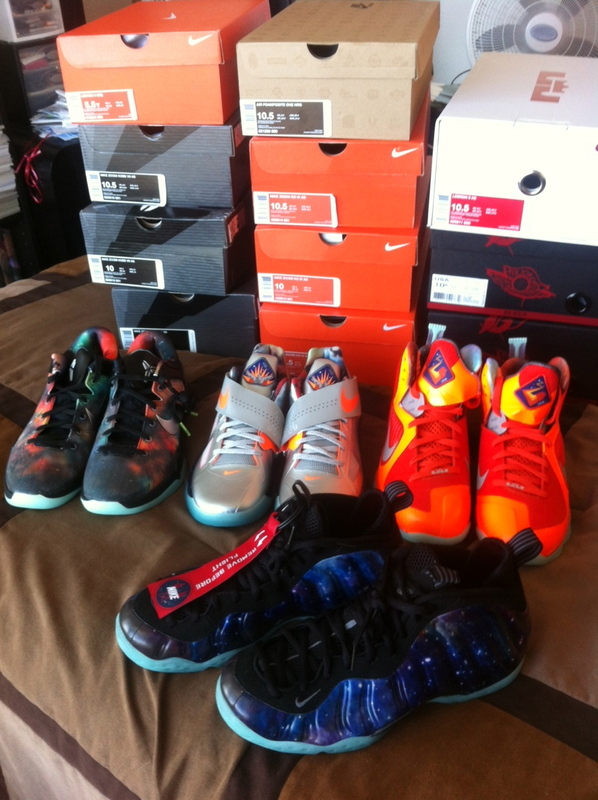 This week there was a release of a super limited shoe called the Galaxy Foams. Hours of standing in line got Ben a chance to get one of only 15 pairs being sold in the bay area. I had agreed to help him get other shoes in the Galaxy series. The late nights and super early mornings completely wrecked my sleep. I was up at 4a so we could be in line by 5a and waited an hour before they allowed us in. Fortunately, they had a good set up that allowed only people with wristbands inside. I brought a Luna bar and my water so I wouldn’t miss breakfast. I was hoping to get some sleep when we finally got done around 8a. Grandma decided to take us out for breakfast at IHop before heading back home. I did my best to find something healthy for me to eat and stuck with water to drink. At first I thought that I wouldn’t get any chance to rest because I had to take Seppe to speech therapy. Luckily, Ben came home and took him so I could sleep for a couple hours. It wasn’t the best sleep because I woke up thinking I missed Seppe’s therapy session. You know how hard it is to go back to sleep when you wake up all panicky? Yep that was me. lol. I got up from my nap and ate a mini Luna bar and drank some water. I needed to get my run in before picking Gio up from school. Today I wanted to get to 7 miles. I had about an hour and 15 min to get my run done. I honestly didn’t think I’d do all that well on this run because I was still feeling tired after my nap. I just hoped that I’d be able be back in time. 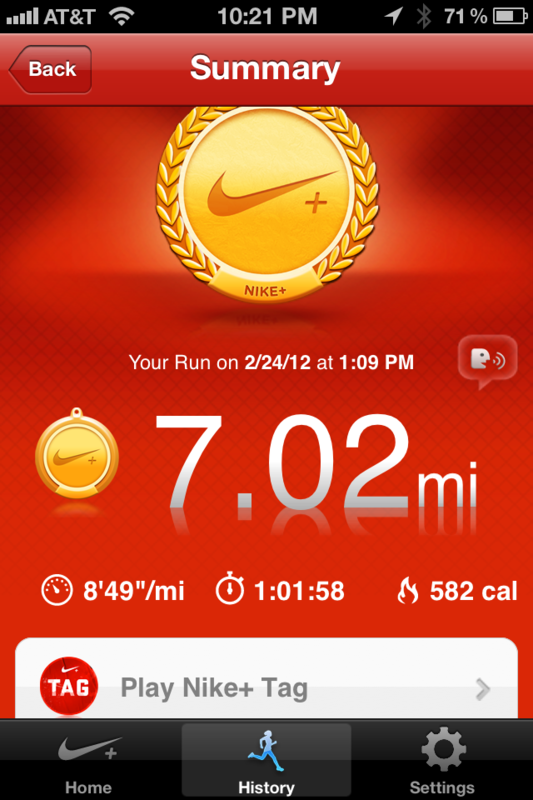 I did my best and was surprised that I was able to run 7 miles in just over an hour. I originally thought that I was suppose to do Fire55EZ today, but when I logged onto teamBeachBody.com, I noticed that it said showed that Fire45EZ was on the schedule. I checked my printed schedule and yep – it was Fire45EZ. I’m glad I checked because it would have been the second time I missed this workout. This was really fun. Loved the combos. I realized why the EZ is in the title – no fire drills :-) The combos were long though and I was sweating like crazy. I chose the New to Class Option for the breakdowns. I didn’t do too badly. I definitely picked up all the moves faster. I did get lost a couple times though. I think it was because I was worn out from the long run and there would just be moments I’d forget what I was suppose to be doing. I gave it my all and I was completely worn out at the end. I’ve decided that while I’m doing this Turbo Fire challenge, I will be moving my long run days to Wednesdays – my Turbo Fire rest days. I will be making my runs longer and longer in prep for my Big Sur race in April and my half marathon in September. I think it’ll just be overdoing it to do Both a long run and Turbo Fire. Plus, I want to be able to give Turbo Fire my all physically and mentally. Ending with a 2min plank for PlankAday. Meals: A little off from my usual because I was out and about a lot, but I made sure to get 5 meals in. M1 – Luna bar and water. M2 – IHop Simple and Fit Whole Wheat French Toast combo – it was topped with banana and came with scrambled egg substitute, and 2 pieces of turkey bacon. I put very little of the Old Fashioned syrup on top of the French Toast. I didn’t mind having a bigger meal because I wanted to fuel up for my run. M4 – I couldn’t find my olive tapenade :-( otherwise I would have had Nut thins with it. I decided to have Snapea Crips (which I had measured out into individual serving sizes ahead of time) and Chunky Olive Hummus from Trader Joes. 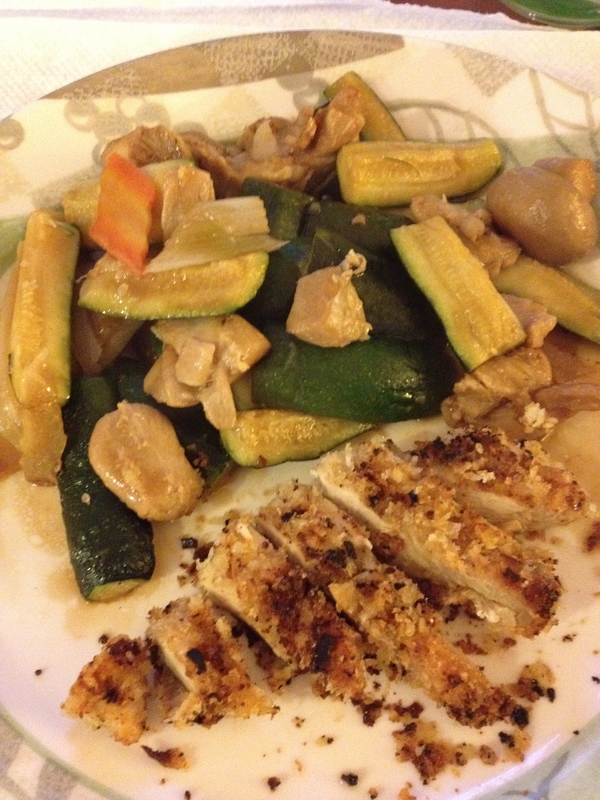 M5: Left over Chicken and Zucchini with a piece of Panko Chicken. We needed to get rid of all the leftovers. I also had a Zico while on my run and had 70 oz. of water.